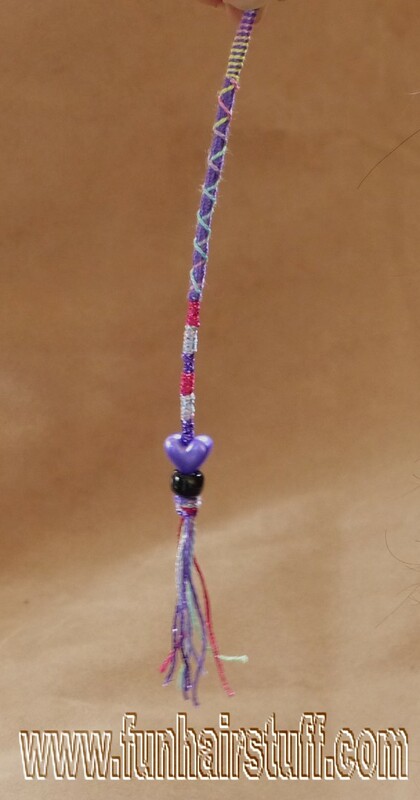 This page shows you how to make your hair braids or hair wraps into beaded braids by adding pony beads to the end. 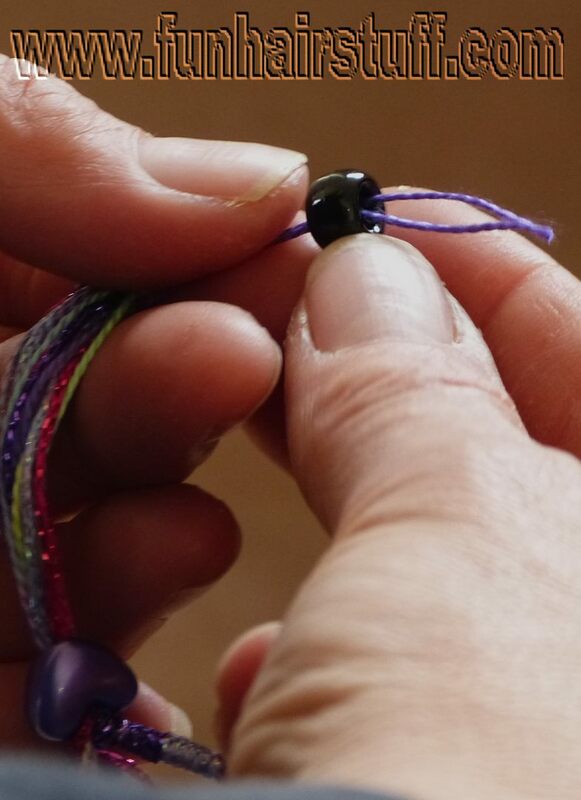 You will need some beads with large enough holes to fit onto your braids or wraps. Pony beads work well, and you may find others that fit your wrap. look for beads with holes about 4mm in diameter. 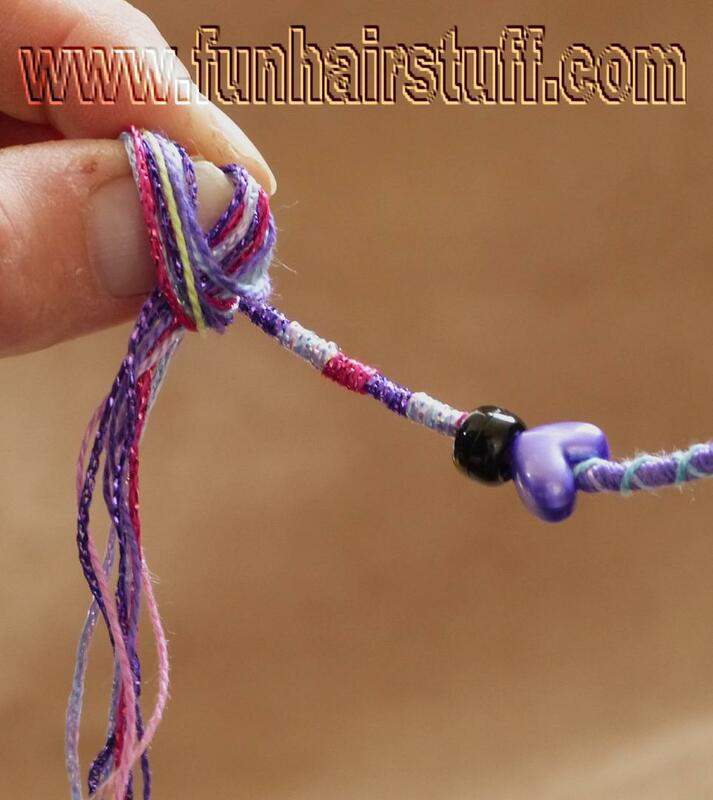 You will also need something to help you thread the beads onto the hair braid. 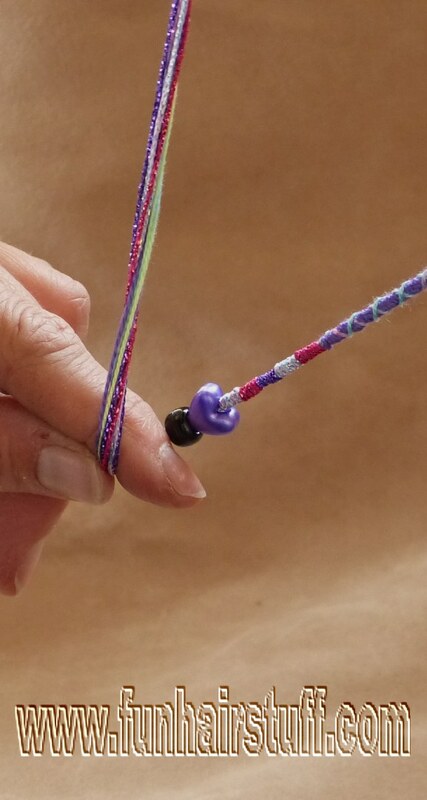 You may have a bead threader which is usually a plastic tool with a loop. 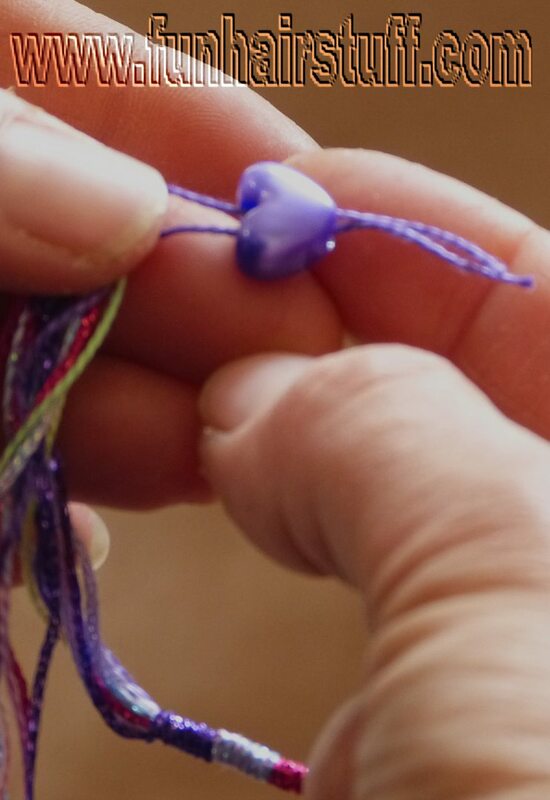 If not, you can thread your beads onto the hair wrap using a short piece of thread or thin wire. 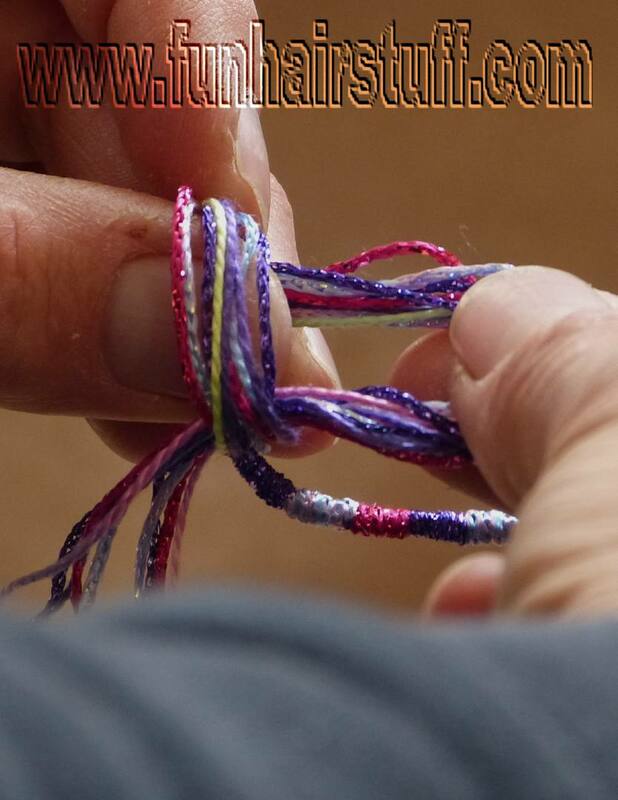 Fold the wire or thread in half and wrap it around the threads at the end of the hair braid. 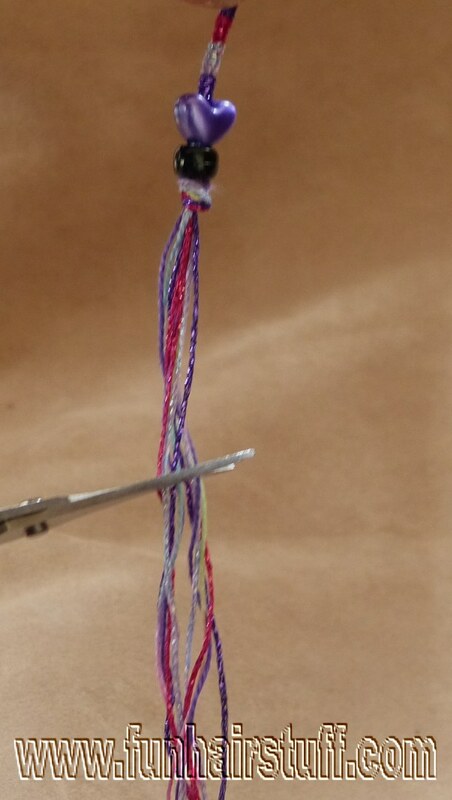 Now poke the ends of the short thread through the bead. 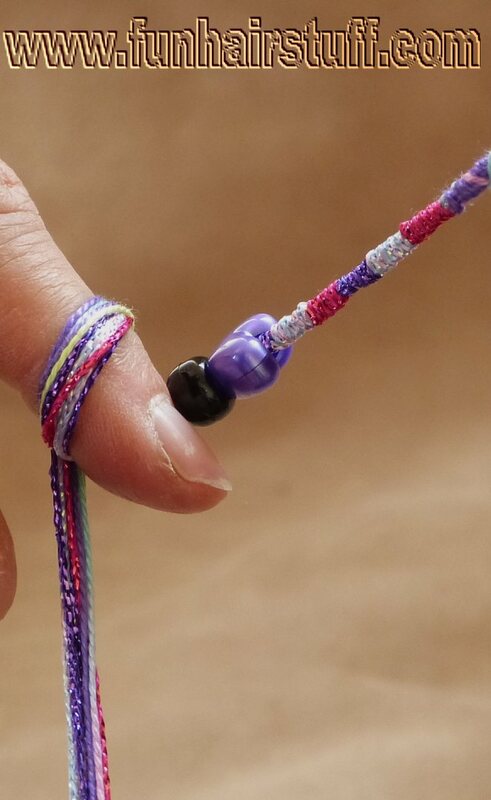 Pull the ends of the short thread to pull all the threads through the hole of the bead. Add another bead if you want. Pull the threads righ through the beads. 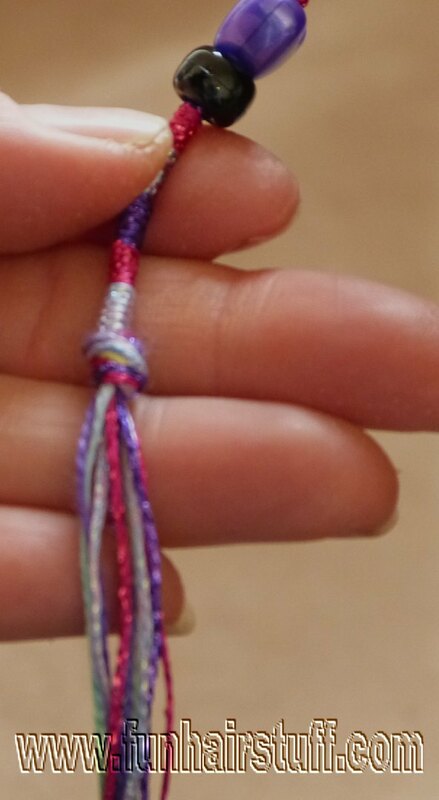 Push the beads up onto the braid. Be careful! 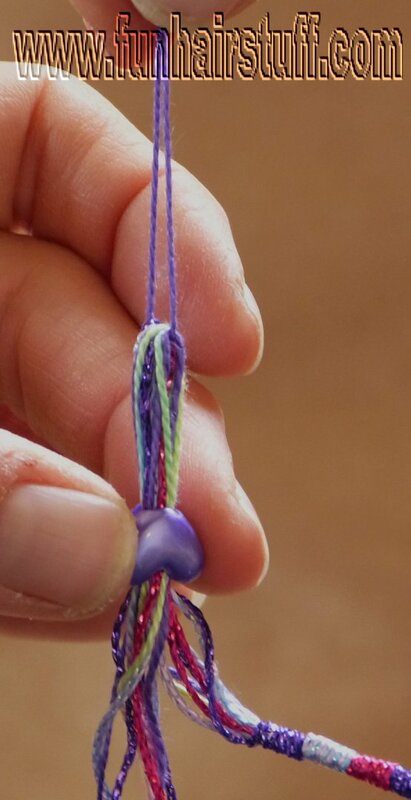 If the beads are a very tight fit and you force them on they may damage the braid. 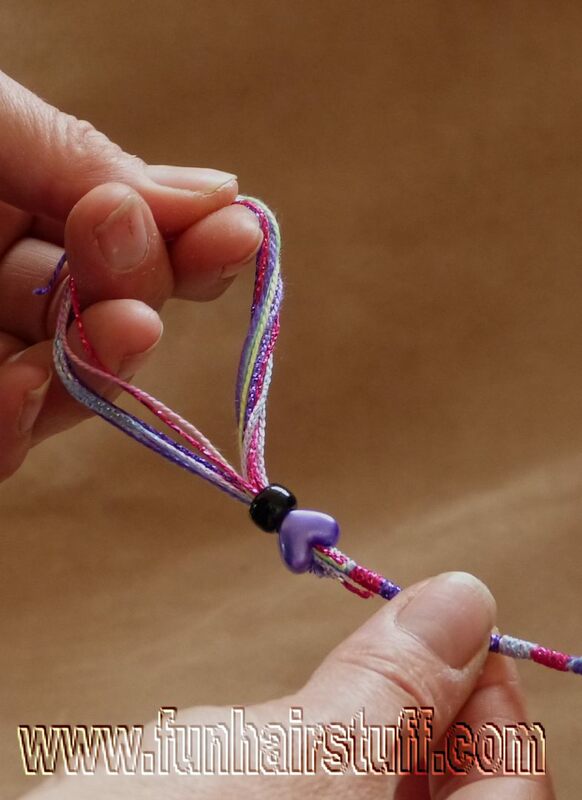 Make a knot in the threads below the braid. and down on the side of the braid closest to your hand (not closest to the fingertip). 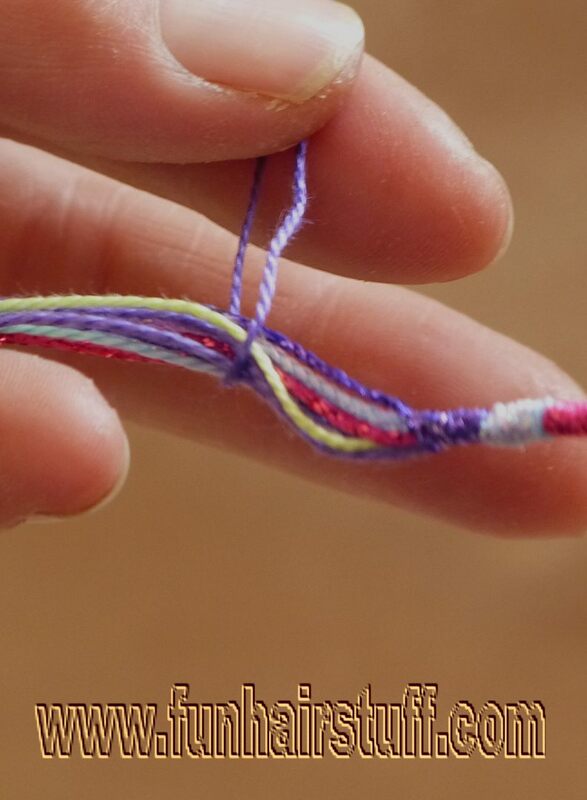 Now grasp the threads between your finger and thumb. Pull the loop off your finger and over onto your thumb. Pull all the threads through the loop. Before you pull the knot tight, slide it to the end of the braiding. And finally trim it. Don't cut too close to the knot or your hair wrap may come undone. Here's your finished braid with the beads added!